After attending Dylan Wiliam’s conference at the beginning of 2014 teaching staff decided that formative assessment would be a focus area for improving teaching practice at Port Broughton Area School. As all teaching staff have now had the opportunity to see Dylan Wiliam in person (Joelene, Tyler, Beth and Margaret this term) it is a good opportunity to reflect of our formative assessment practices in the classroom and share with each other what we are doing in this area. If you have not already read them or you are unsure about a particular strategy here are a series of posts that remind us about the 5 Key Strategies required for formative assessment. Each post in itself is quite short (5-8 minutes will be enough time to read them all). There are links within each post that take you to more detailed information. By the end of the term it would be great to have all teaching staff contribute to this sharing/discussion through the comments section of this post. Select one strategy below and share your practice in this area with others. Suggestion – Write your comment in a Word document and save your writing. Then copy and paste from the Word document into the comments section of this post. Select 1 of the following and discuss how you address this strategy in your classroom. Your discussion could focus on processes you use to address this strategy as well as successes and deficiencies in this area. This entry was posted in Pedagogy, Professional Learning, What's happening in classrooms? and tagged Dylan Wiliam, formative assessment, pedagogy, professional learning. ← What can you do in the classroom to assess were your students are at? I have tried to engage students in PE using iPads to reflect on performance. Apps like camera/iMovie allow students to video performance and then reflect on areas for improvement (against specific criteria) and then they can work on those areas over time. Using the camera/iMovie apps nearer the end of a unit students can make comparisons with the original video to prove they have advanced their learning. The other app I use a lot is Easytag which allows the recording of statistical data. This could be anything from shuttle placement in badminton to team stats in basketball i.e. successful and unsuccessful shots. This data gives students a point of discussion and analysis to discuss what the data is saying and how it can be used to improve. Strategy 5 – Engineering Effective Classroom Discussions, Questions and Learning Tasks That Elicit Evidence of Learning. This area of Formative Assessment has been the main one that I have managed to embed into my daily teaching practice. A year and a half on from the workshop with Dylan Wiliam I still use some key strategies that help me to understand where my students are at with their learning. •	ABCDE laminated cards – I use these a few times a week as review tools at the start of literacy or numeracy lessons to review learning from the past few lessons or to gauge student understanding of upcoming concepts. These cards give instant, easy to see feedback both for me and the students in a non-threatening way. Jackie and I have also used the digital whiteboard activote eggs in this same way as this is a great way to store student responses quickly and effectively to analyse at a later time. Setting them up, getting enough to stay charged and logged on can be an issue and has meant that I often elect to use the laminated cards for ease. •	Wipe-boards – last year the primary classes purchased a class set of these. They are great for quick activities, mental routines in maths, problem solving, brainstorming, editing tasks etc. Students feel comfortable about being able to have a go, change their answers easily and try different methods. A problem can be maintaining decent markers for the students to use. ($30 a year approx). 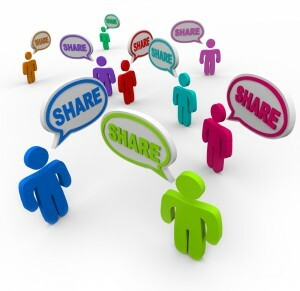 •	Discussion strategy – Think, Pair, Share. I do this in Maths intro sessions so students can work together with someone and share their ideas. Students feel much more comfortable having discussed ideas with a partner and you get less “I don’t know” responses. •	No hands up strategy – my most commonly used one. This engages all students as I pick (or get a monitor to pick) names out of a container and they answer questions or give opinions in discussions. Students are so used to this that they now are ready with responses rather than letting the same outspoken students dominate the conversation. If it is a new concept or a more challenging one I opt to use the “Think, Pair, Share” strategy. These strategies took a while to embed but the benefits have been worth it overall and then students have definitely been more engaged in discussions than in previous years. It is good to hear that you have been able to embed these techniques in your classroom. It is often the hardest part of our professional learning. We learn about concepts/ideas/pedagogies, we get enthused, we trial a few things and then we revert to the status quo = nothing gained! To hear that you have been able to make these techniques work for you and feel that engagement has increased because of it is great. Thanks for sharing. i had remembered that feedback was more useful when a grade was not given but had forgotten that it can/should come from multiple sources. i will next time be encouraging students to analyse each others work, after briefing them on the type of feedback that is helpful. i think it could also be useful to seek feedback from another teacher or parent and will perhaps imbed this criteria into the assignment somehow. perhaps a short question and response sheet will be needed so the people giving feedback know what to address? i find exhibitions benefit students too, or displaying student work in the classroom as this gives them a forum to view their work in different context and alongside others. evaluation and reflection form part of a practitioners statement in the visual arts course, perhaps this would benefit the photography students too? when i get the printer up and running and submit my begging letter to the finance committee, we just may be able to have a photography exhibition!! I like the idea of multiple sources of feedback Shae. Feedback is most useful when it is given regularly and is specific so having some guiding points about what the focus of the feedback is is an important point that you make. Feedback from self reflection, peers and the teacher can all occur lesson by lesson and week by week. Feedback from parents and other staff could occur through a small exhibition once a term. Having an mini exhibition of incomplete work part way through a topic may be useful if those visiting the exhibition are schooled up to ask probing questions that make the students think about why they are doing what they are doing. Explaining their work to someone who has no idea of their intentions may help clarify their own thoughts. During 1st term before interviews we start discussing goals-what they are and ways to record them. We have a poster in the classroom that shows where goals fit-comfort, stretch or panic and discuss the types of goals that fit into each category. Children set 2 goals of their own. During parent interviews parents are asked to suggest some goals for their children and class teachers also set some. The children then choose 2 goals from the range of goals available. These are recorded with a short sentence about what children think they will need to do to achieve their goals. This is laminated and we velcro them to children’s desks. To keep track of progress children have a star chart. It has 8 stars that children colour in each time they do something that helps them achieve their goal. Once all stars are coloured in the goal has been achieved and children then set new goals. Usually the first round of goals are quite simple for children to achieve-get to a new reading level, add full stops to writing, skip count by 10 etc., but as they become more familiar with goals they begin to set more complex and challenging goals. Thanks Ange. I was looking at the students goals on their desks the other day and wondered how they knew when they had achieved them – was it the teacher telling them or did they determine it themselves? While I am sure they get assistance it is great to see that students keep track of things that help them achieve their goal. Thanks for sharing this example of how you engage students in taking responsibility for their own learning (strategy – activating students as owners of their own learning). I really like the sound of how they assess their goals by colouring stars when they have done something towards achieving the whole goal. I find this the hardest part after we have set a goal in my class. Different students meet their goal at different times but we all review them at the end of each term rather than on an individual basis. A much better process Ange. Might steal it later in the year. Engineering effective classroom discussions, questions, and learning tasks that elicit evidence of learning. I have used whiteboards with my year 11 class a few times this year. This morning I was ready to move onto the next concept in Biology, but I wasn’t sure they had grasped the functions of organelles. I asked them to write the names of the organelles that corresponded to the descriptions I read out. It became very clear that the vast majority of students could not recall the functions of organelles!!! So……. Change of plans! Instead of moving on, I introduced a task that requires students to make their own cell and use analogies to describe the organelles (e.g. cell membrane = fence with gate that allows the selective movement of materials in and out of the cell. I will re-test them using the whiteboards at the end of this task. Hopefully I see a marked improvement in their knowledge of the function of organelles. Thanks Joelene. This sounds like it was quick and easy to do and gave you some really important (vital) information. Would you consider it embedded in class or is it something that you are still ‘remembering’ to do? It would be interesting to chat with Towny as he mentioned the white boards as well. Do you use them in the same or different ways? I wouldn’t consider the use of whiteboards embedded in my senior classes. When I had year 8/9 maths I would use them at least once a week. I think I need to look more creatively at how they can be used with the older students to give me the feedback I’m looking for. I spoke to Aaron McDonald about using the exit problem strategy and then thought that I would like to try it for maths initially, then also science. During the holidays I intend to organise some questions which would be quick five minute formative tasks to match next term’s maths units. Since both my 7 and 8 math groups have a test on Thursday, before they go to lunch today I will give them a problem to solve. Am mentally preparing myself for major disappointment. And yes, I was devastated with the results of my exit questions for both year levels. Each group had four simple questions – some students got all four questions incorrect, although most had at least one correct. Only one person had all four answers correct. I remember Allan saying that he had tried this last year and found it demoralising. Where to from here? Still thinking about it. Quite often we only share things when we feel they are going well. Thank you Tanya for sharing something that is making you feel “demoralised”. While the exit ticket strategy seems to have worked the results are not what you had hoped. The great thing about this is that you now get to do something about it. Had you not implemented the exit ticket strategy your students would have continued on to the next lesson with the same gaps in their knowledge, maybe some of those gaps can now be addressed? Is it the exit ticket process that needs tightening or can teaching methodologies be tweaked? Or is it a combination of both? – Were there too many questions? – Did students rush their answers to get to lunch? – Did they take them seriously? – Do students need time to get used to a new routine and why they are doing it? – Do you need time to develop the routine/process so that it is as effective as it can be? – How much of the content do you revisit (realise there are time constraints)? Does the exit ticket give a pattern of errors i.e. a specific concept is consistently wrong across the majority of students? – Do you use different methodologies when going back over content or just tweak the process you used previously? I think the fact that you have identified a need by using exit tickets is great. It will be interesting to hear how you go next term in maths. We also use the no hands up strategy however I am aware that this can be quite challenging for some students at times. Those children that rarely volunteer can find it uncomfortable and add to their stress when called upon. Sometimes, when I notice this discomfort I will seek their permission and ask if they are brave enough to continue, other times I provide them with the opportunity to phone a friend. (They don’t actually phone a friend but rather select a fellow classmate to assist them). Hopefully this assists in relieving some of the anxiety. I’m looking forward to getting the activate eggs working again as the students really love the opportunity to use these and now that I’m feeling better will ensure we start using these next term. The data, as Paul said, can be extremely useful and it is another way at quickly gaining more information about student learning. My students just recently completed History research projects on a famous explorer. Once projects were completed the students gave a written peer assessment that was then attached to the back of their poster. This was a more formal peer assessment than those we have used previously. Students recorded a star and a wish for another class member. Until now most feedback from other students has been verbal and less formal. Guidelines were given as to how to do this and students were asked to consider other people’s feelings. The star provided some positive feedback about something they had done well and the wish provided them with an idea as to how they could have made their project even better. After peer student feedback I provided each student with my feedback. Students were then given the opportunity to read all the feedback provided before work is displayed on the wall. I am hoping some students take on this feedback and incorporate it into their goals for next term. I was impressed with the maturity and positive comments students made for their peer feedback. Students came and asked me if their ideas were okay, as they didn’t want to offend, but also wanted to be honest. Some wish comments by students were “You could have added more photos,” You should have stuck the websites you used on,” You could have added more colour” and “Maybe next time don’t underline all your facts.” Some of the star comments “Your background is good because has a handmade background” and “the pictures are in good places with the writing.” I thought these were pretty comments by Year 3/4 students. I think that the peer assessment has meant more students will read the comments as to how they can improve further. This certainly was a worthwhile exercise but like many forms of formative assessment needs to be used from time to time rather than continuously to ensure maximum impact. Thanks for sharing Jackie. The star and a wish process seemed to work well for you. Those giving the feedback would have had to think more deeply than they otherwise might have and those getting feedback will hopefully apply some of it. I’ve always found it hard to get students to give quality feedback as it is not something they are used to doing. Giving them opportunities to give feedback and teaching them how to do it effectively is something that I need to do better with my PE students. A good reflection about using formative assessment. I was interested to read my reflection and noticed that I use most of the strategies daily (or at least a few times weekly) except for the voting eggs. No hands up – picking out names. These have been very useful (and engaging) strategies for most students. I hope that other teacher reflections are similar Towny. While we no longer have the strength of focus that we had 2-3 years ago it is good to know that teachers have embedded aspects of formative assessment from this time and continue to use these practices.